Periactin (or cyproheptadine hydrochloride) is an anti-histamine drug that is used for allergies. It helps relieve symptoms such as runny nose, itching, sneezing, and watery eyes. 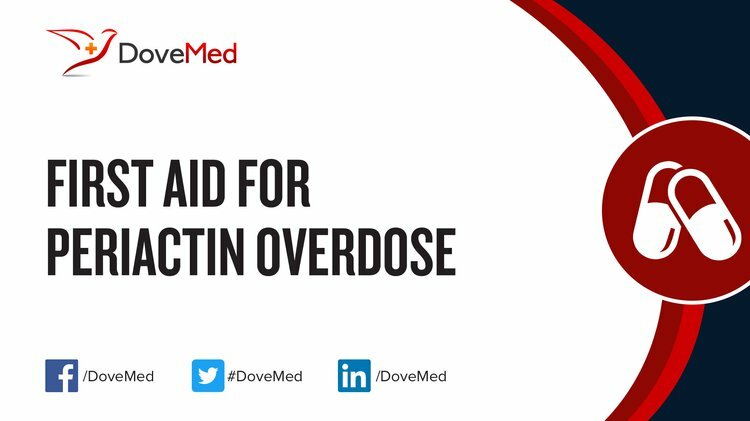 Periactin Overdose is the accidental or intentional intake of the drug in dosage higher than prescribed values. What are the Causes of Periactin Overdose? What are the Signs and Symptoms of Periactin Overdose? The signs and symptoms of Periactin Overdose can vary from one individual to another. It may be mild in some and severe in others. Several systems of the body may be affected. How is First Aid administered for Periactin Overdose? Who should administer First Aid for Periactin Overdose? First aid for Periactin Overdose is administered by healthcare professionals. What is the Prognosis of Periactin Overdose? How can Periactin Overdose be Prevented? Hargrove, V. (2010). Cyproheptadine/escitalopram overdose. Reactions, 1283, 9.